Newspaper article from 'The Kensington News'. Letter from Barnett-Barker to Broughshane. 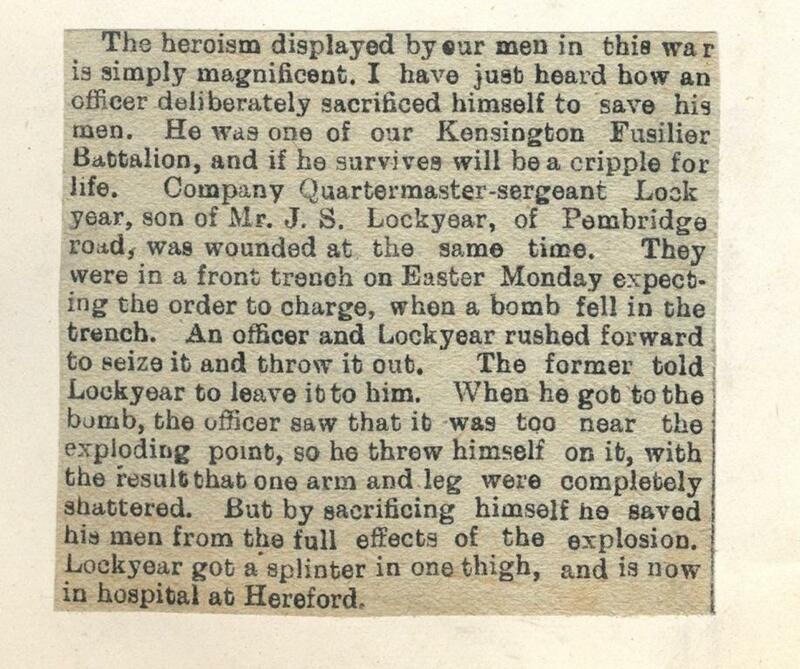 However, according to The Kensington News later that month, there were some bright spots for the 22nd Battalion – tales of gallant self-sacrifice amongst the slaughter. Yet the story behind this impressive display of leadership was rather different, as Colonel Barker records on 6th May 1917. 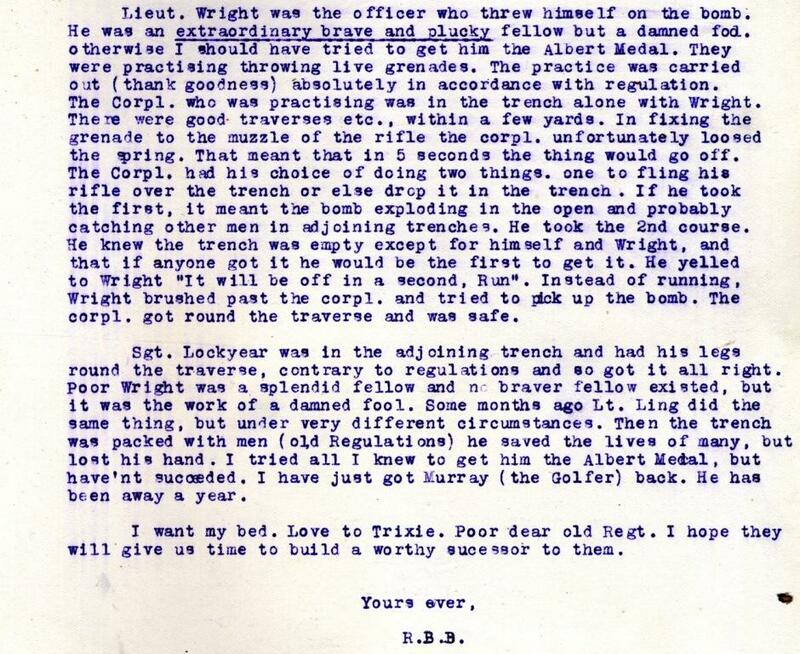 The newspaper account allows the more obvious assumption that this was a German bomb when actually Barker’s letter reveals this to have been an unlucky accident during grenade throwing practice. 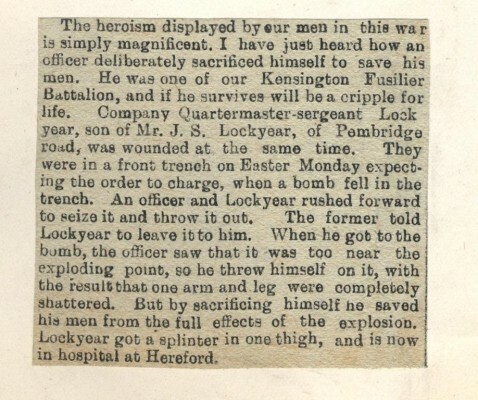 Rather than ‘rushing forward to seize the bomb and throw it out’, Barker’s account reports that the Corporal was trying (very sensibly) to run away. The newspaper account concludes that ‘by sacrificing himself Lieutenant Wright saved his men from the full effects of the explosion’, whereas Barker reports that the trench was empty except for the two men. 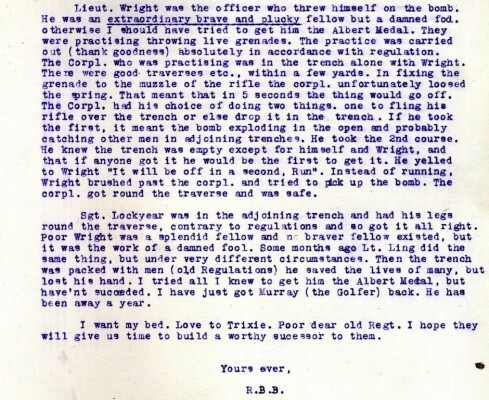 He writes that Lieutenant Wright ‘was an extraordinary brave and plucky fellow but a damned fool’, a truth which feels much more human than the newspaper account of daring-do and noble sacrifice. Come and Help us, Lads, Quick!